I found it to be simple, easy to use, and very fast! As with anything new it will take a little bit of getting used to. I'm using Gutenberg for this post, can you tell? 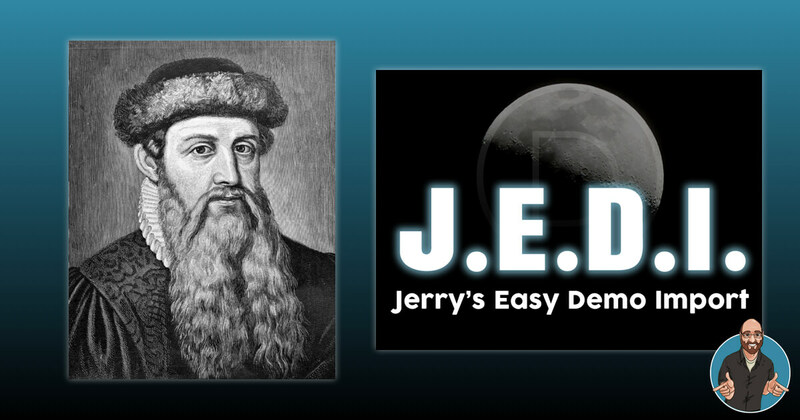 Exporting Gutenberg Pages & Posts With J.E.D.I. As far as J.E.D.I. is concerned, pages & posts created with Gutenberg work exactly the same as standard WordPress content and Divi Builder content. The post content is stored in the database, and the way that Gutenberg handles the actual HTML is clean and straightforward enough that images transfer over smoothly. I added a new page to the Hope Child Theme and used J.E.D.I. to import the content on a fresh poopy.life install. So you can create some pages with the Classic Divi Builder, other pages with Divi's Visual Builder, and still more pages with the Gutenberg Editor, and all your old Classic Editor pages will still work too. As the Gutenberg project progresses I'm sure there will be some blocks that will need special attention. Are you using a special Gutenberg Block that I should use for testing J.E.D.I. ?